Don’t let snow and ice storms catch you off guard. Take it from people who have been through the worst winter can dish out and get prepared! When Val Artimowich and her husband Gerald woke up March 14, 2014, they were stunned to discover the roof of their Dryden, Ontario riding stable’s indoor arena had collapsed in a tangle of wood and metal. The 14-year-old, 75’ x 180’ structure consisted of both arena and barn. There were seven horses inside the stable. “My husband and I ran up to the building with the first concern being the animals. We didn’t know what we were going to find,” said Artimowich. Amazingly, the horses were uninjured and the couple was able to safely extract the animals despite the large amount of debris. Excessive snow load caused the collapse. Unfortunately, Artimowich was in good company. Snow accumulation, ice, thaw-freeze cycles and vigorous winds toppled scores of barn and arena roofs in several areas of the country. And, just a few months earlier, many horse owners were forced to endure the 2013 Christmas ice storm that affected Ontario, Quebec and many parts of the Maritimes, causing widespread and lengthy power outages, travel delays and millions in property damage. This global warming trend doesn’t mean horse owners will ride in T-shirts all winter and graze their animals on forever-green pastures any time soon. Instead, they need to prepare themselves to endure more severe winter weather than ever before. Loss of power and water are primary concerns when bad weather blows, as Jean Milligan and her husband Ron McKay found out during last year’s ice storm. On-site managers for the past six years of Camelot Farms, a boarding facility in Gormley, Ontario, the couple had never before been so challenged by a storm. Camelot lost power December 20th, the night the storm struck. It remained out for seven days. “We just assumed it would be for a day or two at most, we never thought it would be a week,” said Milligan. Depending on a storm’s extent, power could be out for several days, even weeks. Areas further from city or town centres usually aren’t priorities for utility companies during mass outages. Plus, crews may have to battle impassable rural roads with power lines and poles that have fallen under the weight of ice and/or snow, downed trees, branches and other debris, not to mention poor road conditions. The majority of rural properties draw water from wells by electric pump: therefore, no power, no water. According to Canada’s Code of Practice for the Care and Handling of Equines, water is “the single most important nutrient in the management of horses.” The general minimum daily amount required is five litres for every 100kg of body weight. Determining how to keep horses hydrated for a prolonged period is critical in emergencies. When extreme weather is forecast, clean and fill water buckets and troughs to the brim. Keep them topped-up as long as the power is on. Fill as many extra buckets and containers as possible. Just two weeks before the ice storm, Cecile Dykstra had started her new job as an assistant to Wendy and John Perkins at their Butternut Stables in Hampton, New Brunswick, about 35 kilometres northeast of Saint John. Like Ontario and Quebec, much of the province was majorly affected. Dykstra had prepared by filling as many buckets as she could for the 25 horses in her care. “But the water didn’t last long,” she said. The farm had initially lost power for a single day at the beginning of the storm, but it was restored quickly after power crews deemed it a priority having found out how many horses were on the property. The power went down a week later though, for four days. According to the province’s electric utility, this was a common story, with some customers losing power as many as six times. Two or three times a morning, she and group of helpers took rain barrels either to a neighbour’s to fill (until that well started running dry) or into downtown Hampton, about five minutes away, where water was available to the public. Research has shown that horses’ water intake drops in colder weather and when the water itself is extremely cold. Horses that drink less or stop drinking altogether are at risk of colic. Obviously, tank heaters and heated buckets aren’t of use in a no-power situation. If temperatures are cold enough that water is freezing, break the ice frequently. A small, propane-powered camp stove might provide enough warm water to prevent icing and make it more palatable. If possible, store extra water where it won’t freeze. Another concern when the power goes out is water pipes freezing and bursting, since electric heat tape or cables, often used in barns to prevent pipes from freezing, won’t work. Drain pipes and shut off the main water supply before a storm. “It can save you a lot of headaches after, and the water is very easy to turn on if the forecast was wrong,” advised Milligan. Hampered communication is also a possibility, as landline, cellphone and internet services may be limited or completely cut off. In advance of a storm, charge laptops, cell phones, even walkie-talkies if you have them. An alternate cellphone charger (i.e. for the car) is helpful. A crank radio can keep you apprised of weather conditions and emergency measures without drawing on battery power. For nighttime trips to the barn, make sure lanterns, hand-held flashlights, or hands-free headlamps are at the ready (with extra batteries). To minimize many of the above struggles, horse farms, particularly those with a number of animals, should be equipped with a properly installed and maintained back-up generator powerful enough for the facility’s requirements. Everyone on the farm should how to use it well before the need arises, and a two-week supply of fuel stockpiled, because it could be scarce in an emergency or hard to access. Recognizing how it could make circumstances easier during a similar event, Milligan hopes to purchase a generator that a part-time staff member brought to Camelot on Christmas Eve – a couple of days after the power went out. With roads potentially blocked with snow and/or debris, leaving your property could prove difficult. Likewise, emergency vehicles, veterinarians or feed delivery services might not be able gain access. As best as possible, keep driveways, gates and doors clear of snow and ice-free. Make sure your address is visible so emergency crews won’t waste time if they need to locate you. McKay salted and sanded Camelot’s half-a-kilometre driveway the morning following the storm. Despite it being “a huge challenge,” he was able to keep it open so “everyone could get in and out safely,” said Milligan. Keep at least two weeks’ worth of food and supplements in airtight, water- and rodent-proof containers. It will have to be regularly rotated to prevent spoiling, but you won’t be stuck without it if you’re either stranded or feed delivery trucks can’t get to the farm due to transportation, distribution and stocking problems. Also maintain a supply of medications, as veterinarians might not be able to refill a prescription for some time. Stockpile more hay than you think you’ll need. Horses should have hay in front of them at all times, especially in cold weather. Eating hay not only keeps horses occupied, but the digestion process actually keeps them warm. And have enough cash on hand to pay for feed or other supplies. Banks could be without power, and credit card/debit machines may not be operational. Keeping horses outside during extreme winter weather requires added consideration. Electric fencing won’t work without power. Fence rails, wire, tape and rope can sag or break under the weight of ice and snow. High winds can also render fences unsafe and useless. And snow can build up enough that horses can walk right over the fence. Horses kept outside must have access to shelter where they can completely escape from the elements. They also need extra hay and water. Access to far-flung fields may be limited during a bad storm. Ask yourself how horses will fare if snow accumulations are high enough or icy ground so treacherous that you can’t get to them and they’re trapped. Horses are at risk of hypothermia in extreme cold and in wet, windy conditions. They can be buried by drifting snow, can injure themselves on ice and can be hit by flying debris, falling power lines, trees or branches. If you do decide to keep horses inside, bring them in well before bad weather hits. It may be hard to get to them once a storm is full-bore and it could be dangerous for humans and animals to trudge through deep and drifted snow or over ice-covered ground. Before turning horses back outside, check the integrity of fences and clear any debris that could pose a hazard. Be on the lookout for downed electrical wires that could still be live. Besides many downed trees and branches, ice underfoot was very much a concern for Milligan and McKay. After securing a new supply of sand and salt, McKay was able to clear safe access to some of their paddocks. “To get the paddocks usable again, he drove around with the tractor breaking up the layer of ice on top so horses could safely navigate the footing without the concern of them slipping,” said Milligan. Dykstra said the paddocks at Butternut Stables remained usable, but the paths were a bit sketchy, so they watered the ice with watering cans and laid down sawdust for traction. By leading the horses to the side of the paths, everyone was able to enjoy turnout. As Artimowich discovered, buildings can collapse in severe winter weather. 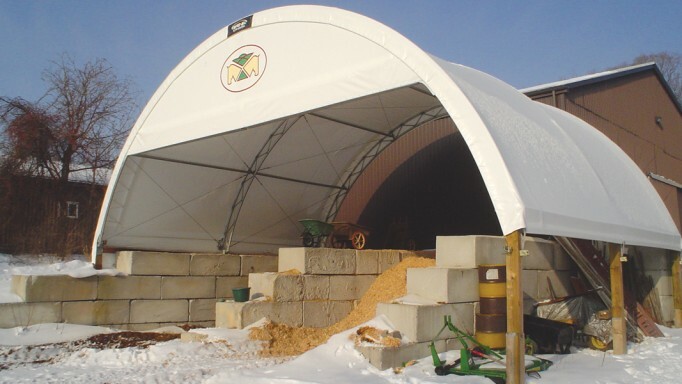 Trusses and rafters are sometimes unable to support the weight of excessive and/or uneven snow accumulation or ice build-up, even if they are properly constructed and built to code. If you notice signs of sagging and distress such as creaking or cracking noises, bowing rafters, or signs of movement evacuate people and horses right away. Be aware, however, that metal buildings don’t usually give any warning they’re about to come down. Roof rakes or snow cutters can help clear some of the snow from the ground or from safe, secure scaffolding. It isn’t necessary to clear off all the snow. Don’t pick at ice because that can damage the roof and cause leaks. And never climb a roof to clear snow unless you have proper safety equipment such as a safety harness and securing cables. Also, bear in mind that a person’s weight on the roof might be enough to take it down. It’s worth the money to call in a contractor who specializes in snow removal. That’s what they did at Butternut Stables after both ice and snow had built up prior to the ice storm. “It was getting really heavy, so we had the boys come and take it all off. And just after, we got the big storm. We got lucky there,” said Dykstra. 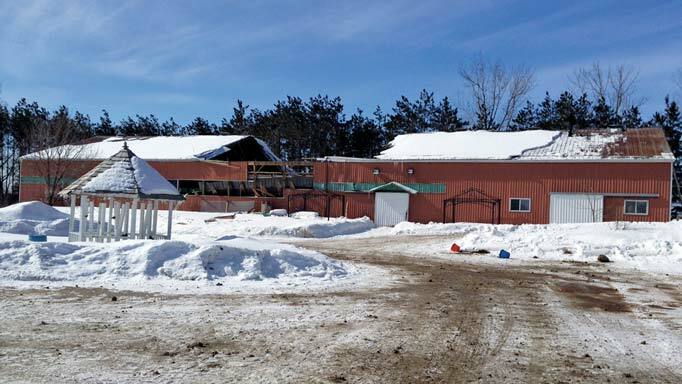 Jan Humphrey, owner of Briarwood Farm in King City, Ontario, also lost her indoor arena roof. It came down on February 20th, after 70-kilometre winds blew a huge pile of snow onto the structure. “That would have been fine, but for the 30 millimetres of rain that followed it,” said Humphrey. Amazingly, the building was empty, despite it being 2:30 p.m. on Saturday – generally a busy period at her lesson stable. She has a few notes for horse people who find themselves making a claim after a misfortune. If you run a commercial enterprise, you will have to pay HST on all repairs, although it can be recouped. Humphrey said facility owners should have insurance against “all perils” and get an engineer to confirm that farm structures conform to local building codes. She also advises insurees ask what the depreciation rate is on their policy because it won’t be documented. Humphrey, for example, is being charged 25 per cent on depreciation of building materials. Should your farm become compromised or destroyed, or emergency management services call for an evacuation, you may be pressed to find alternate housing for your horses. Artimowich, for instance, had to quickly find a new home for her show horses, while the rest stayed in an outdoor paddock after her barn became unsafe after the collapse. Organize off-site stabling beforehand and plan routes and alternate directions to a few locations because it may be that not all roads are accessible or driveable. Tell someone you are leaving, what your destination is and estimated arrival time. Learn to haul a trailer on icy or snowy roads and make sure your horses know how to load. Develop a buddy system with other horse people or farmers in your area to combine resources and manpower to help weather storms and emergencies. Whether it’s insurance, lengthy power outages or access issues, above all, plan and prepare for the worst that could happen. You never know if or when you and your horses will face a disaster, but the chances of welfare and recovery are enhanced when emergency strategies are in place. 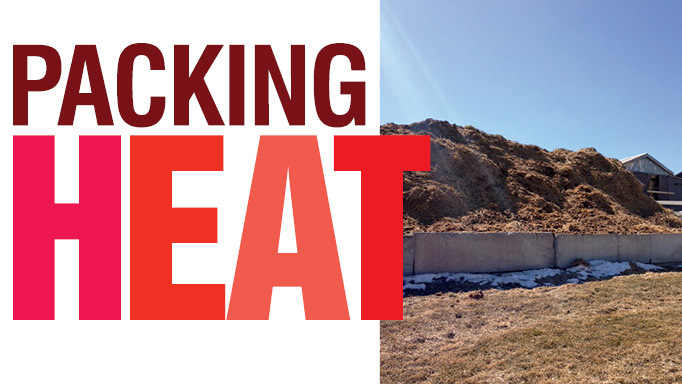 These farm owners are taking a proactive approach to manure management. 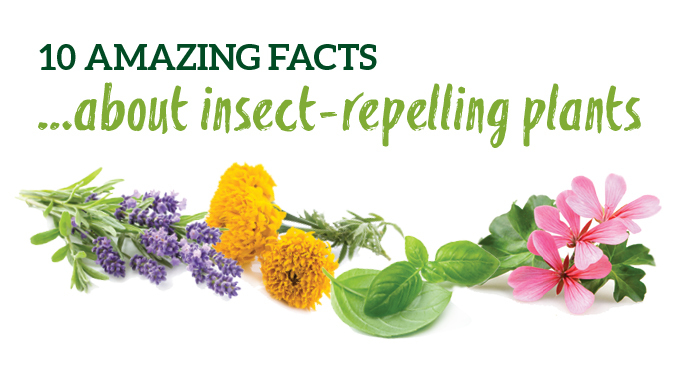 Super insect-repelling plants to have around the barn. I have to say a few things. Really the only real reason domestic horses get founder so often is because they’re not lean coming out of winter. 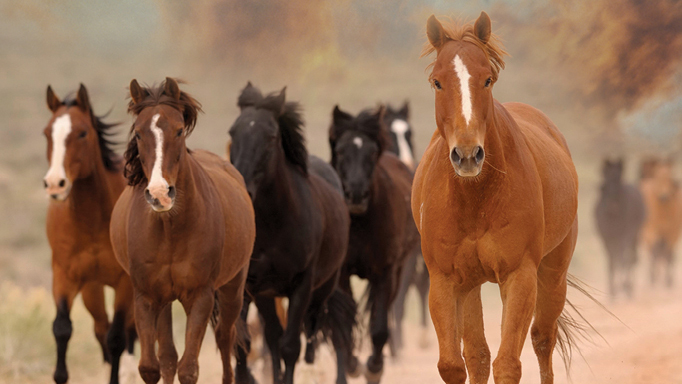 Grasses help wildlife and the mustangs regain weight, but what can ourbhorses do? Nothing. I highly suggest to leave your pasture natural with choice in grazing, because natural pasture have been proven better for the horse. Overall I suggest creating a mustang-like life for your horse. He’ll love you more, and it’s much healthier. 95% of horses will get sick or lame, but mustangs are very rarely lame or sick. Their hooves are completely barefoot and steel hard, rarely chipped or cracked. They have no stereotypes and are living the way theywere meant to, so why not let horses live how they’re built? Natural pastures, no shoes, no blankets, and not a fat-filled winter. Just don’t let them starve.